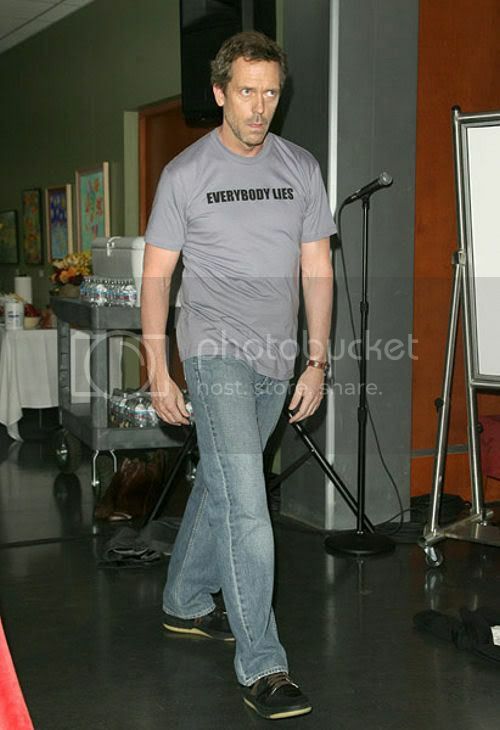 House star, Hugh Laurie, had no problem raising some smiles at the event which launched exclusive "House-ism" T-shirts to benefit the National Alliance on Mental Illness. 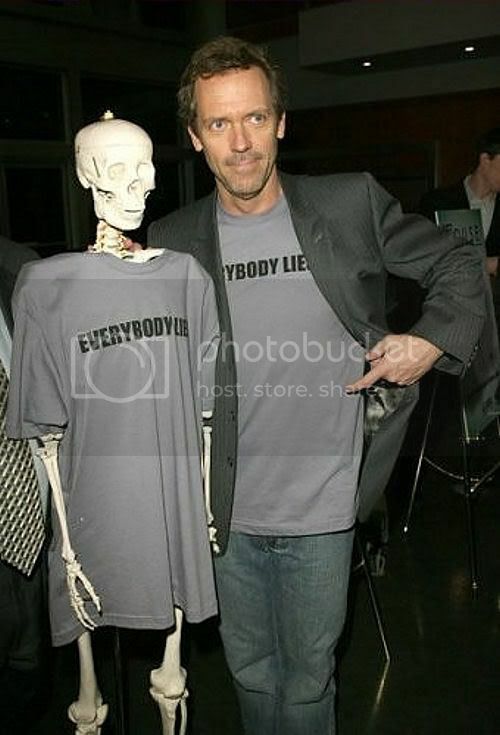 His shirt was emblazoned with the slogan "Everybody Lies", a phrase coined by his character Dr Gregory House, who is legendary for his irreverent bedside manner. The British thesp was joined at the event by the hit medical drama's other cast-members, including Lisa Edelstein, who plays his boss Dr Lisa Cuddy, and Jennifer Morrison aka immunologist Dr Allison Cameron. 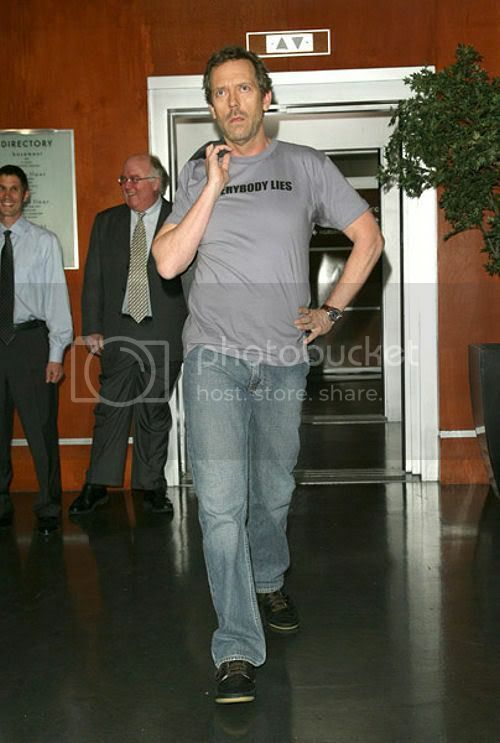 The tops are available from www.housecharitytees.com, with more fundraising efforts including a special May 1 auction of memorabilia signed by the cast.